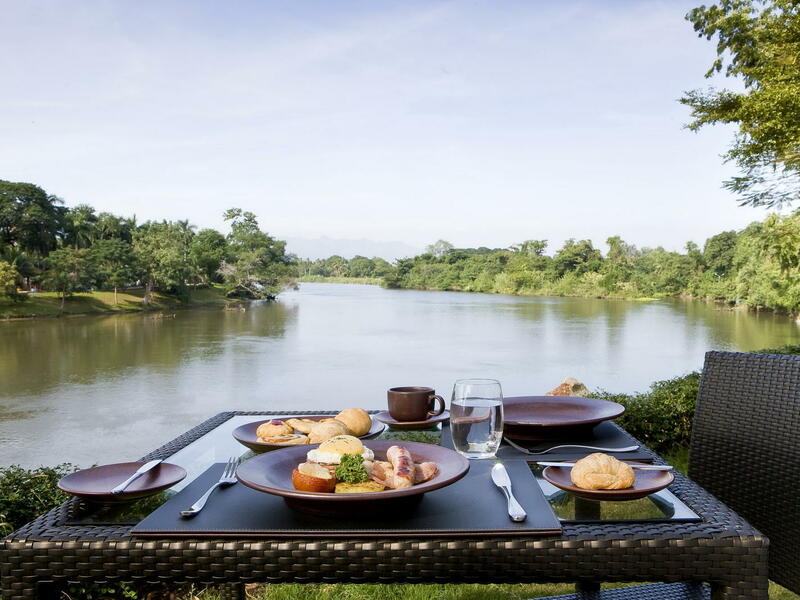 The signature-dining venue of the boutique hotel, Peppers, offers breakfast daily and then transforms to a lunch and dinner venue serving Thai food and Western specialities by the riverside. Our cuisine perfectly blends the rich traditions of Thai cuisine handed down over generations with cutting edge modern culinary innovation. 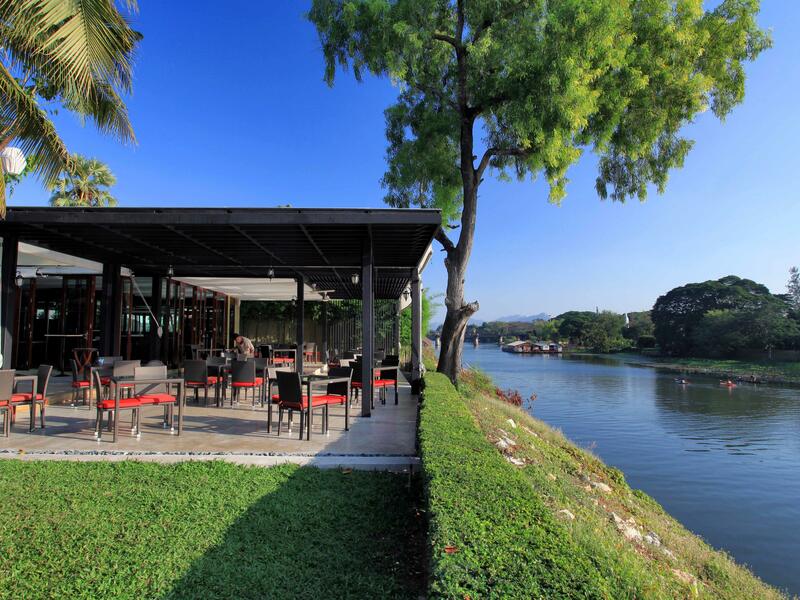 Thai Peppers Restaurant is located in Kanchanaburi adjacent to the River Kwai and is easily accessible for in-house guests and day visitor by means of the walkways, which wind through landscaped gardens. The intimate air-conditioned indoor dining section is tastefully designed with a modern yet rustic feel. 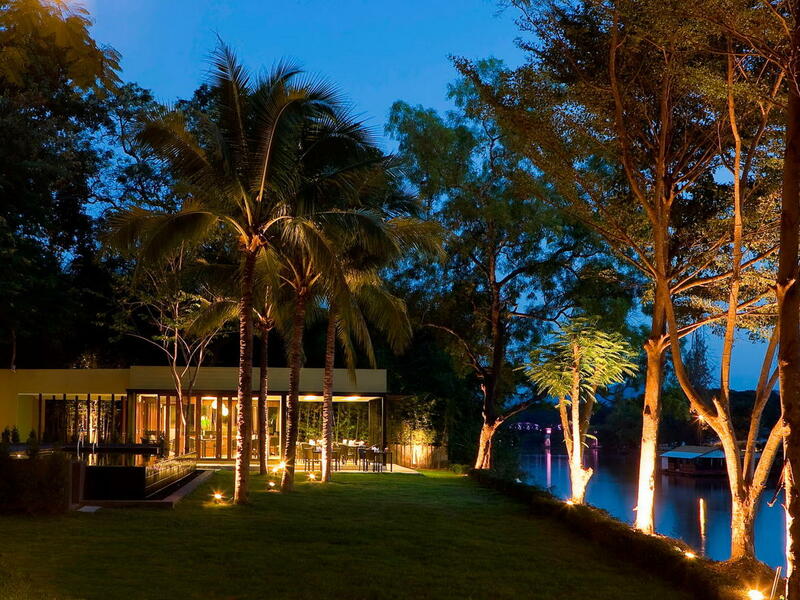 Adjacent to the restaurant and next to the Kwai river and hotel swimming pool is the alfresco dining deck area. 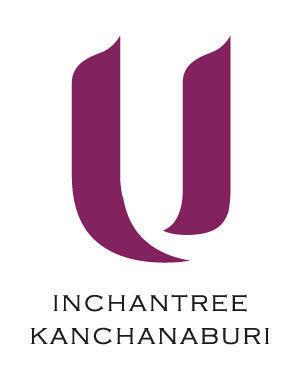 Opening hours: 06.30 a.m. - 10.00 p.m.